Typically in less than two minutes, you can correct the tests for an entire class! 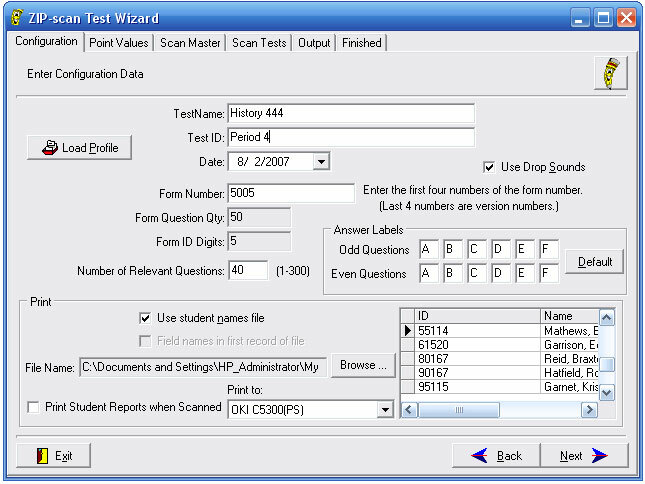 Student name is included on all Test Scoring reports using data file of name and ID number. 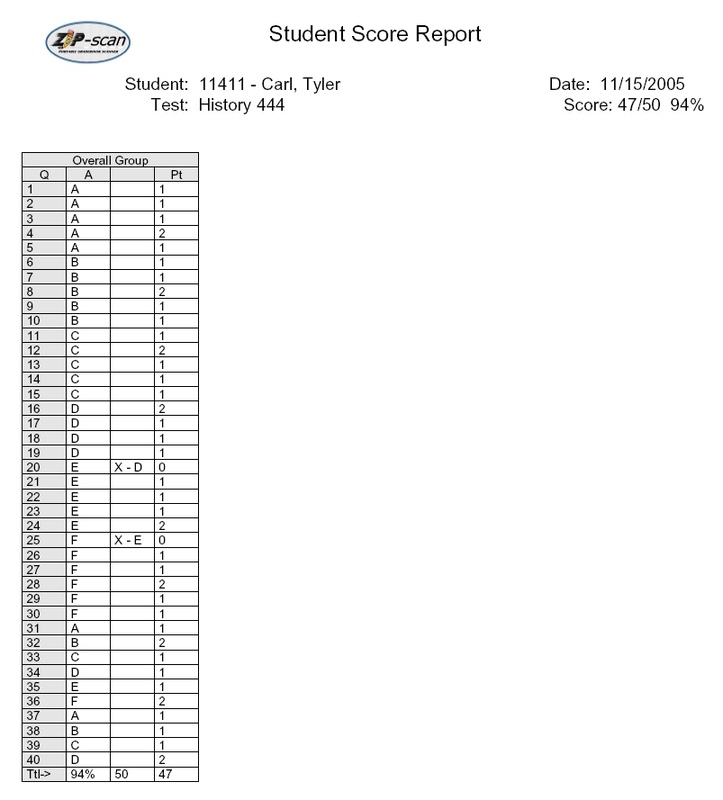 The Test Grading reports are are also available in Excel® importable format. Saved test profile enables a repeat test to start being corrected in just seconds. Under the test grader system, test scores can be electronically imported into grade book programs. 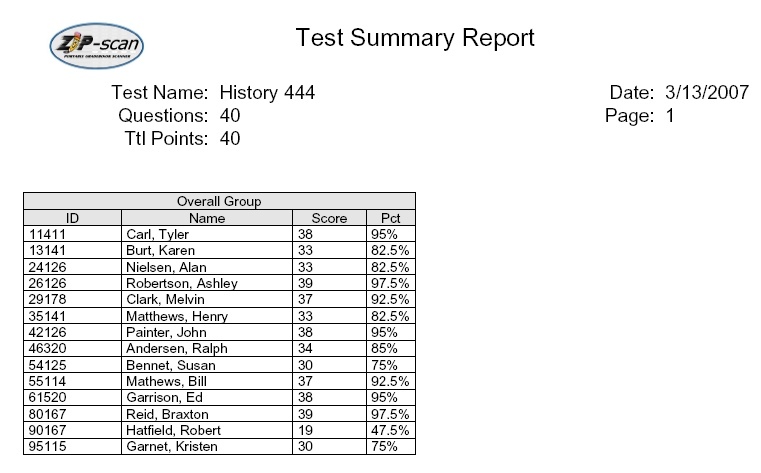 Option to do sub-grouping of questions provides separate summaries of results. 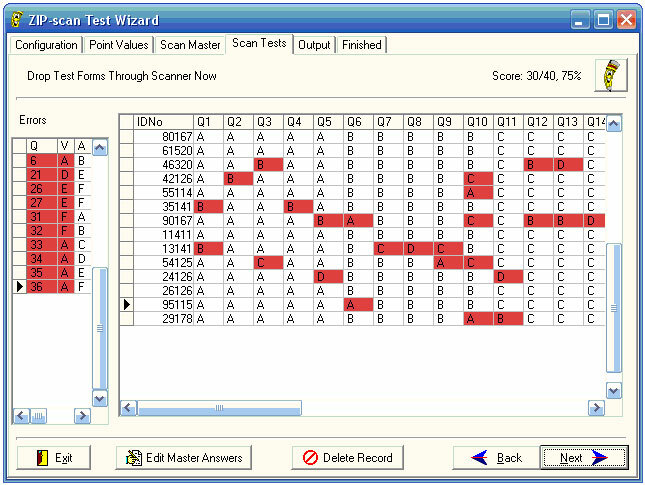 Option allows assignment of different point values to individual questions. If desired, an option allows a point penalty deduction for wrong answers. 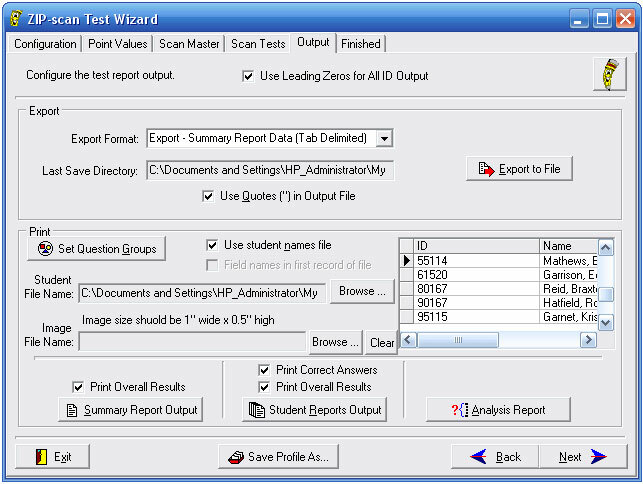 Under the Test Correction method, Student report can be printed as soon as test is corrected, which allows student to review test results immediately following grading. Option allows different labeling of the odd and even questions (A to K Labeling). Standard form has 50 questions, but up to 300 question test sheets use multiple forms. 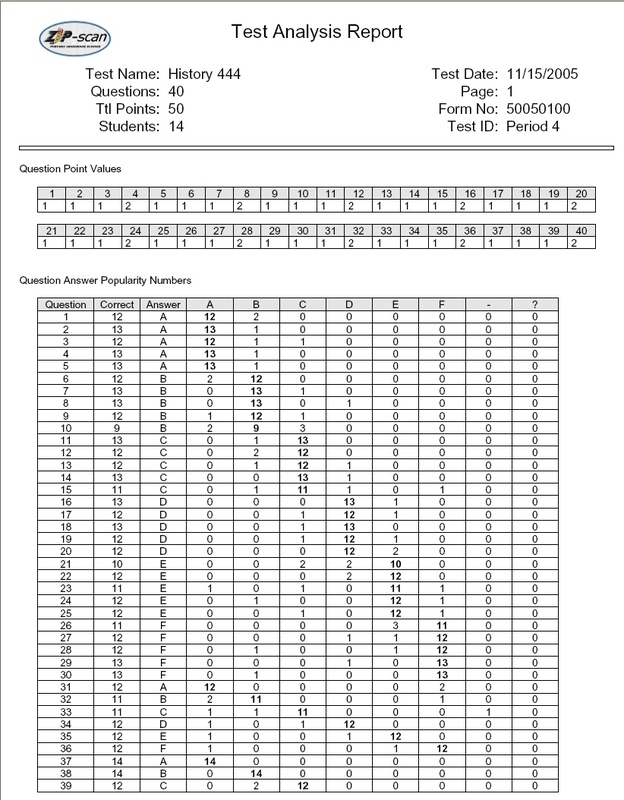 For elementary students, test forms are revised to have large numbers and only 25 questions spread apart vertically to make marking answers easier. A4 sized form design available to to support non-USA applications. Grading A Test has become convenient and as you print your own test forms on regular copy paper for significant cost savings. 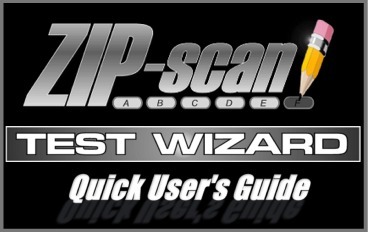 Some documents on this page are in Portable Document Format (PDF) to retain the original format. To view or print these documents, you must use the Adobe Acrobat viewer which is free and available directly from Adobe's website with full installation instructions.